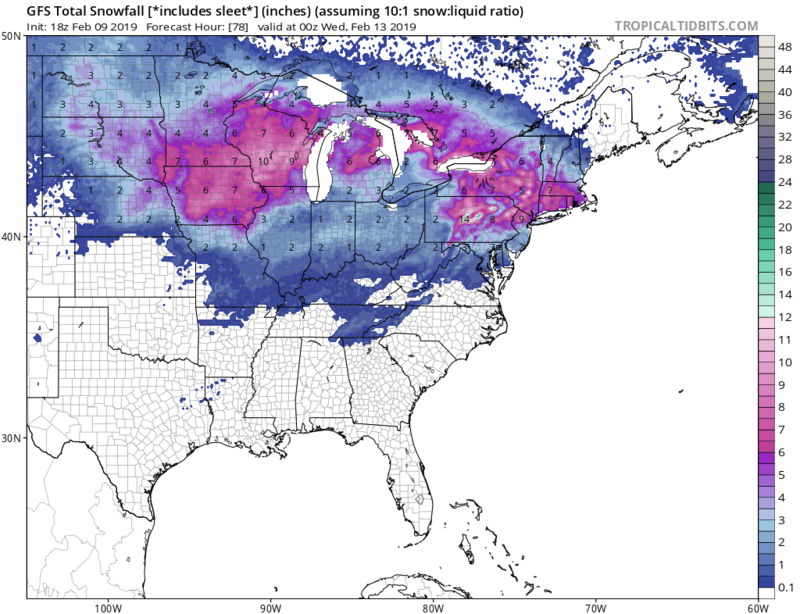 At first glance it appears we have a storm cutting up to the Great Lakes with heavy snow out front across the Northeast and Synoptic snows behind across the Great Lakes and Midwest. However, looking at the upper air pattern, things are a little more difficult and in some ways messy in regards to snow amounts. First of all, the airmass ahead of the storm will be stale in regards to the coldness so one will think that change over will occur quicker then the models expect. 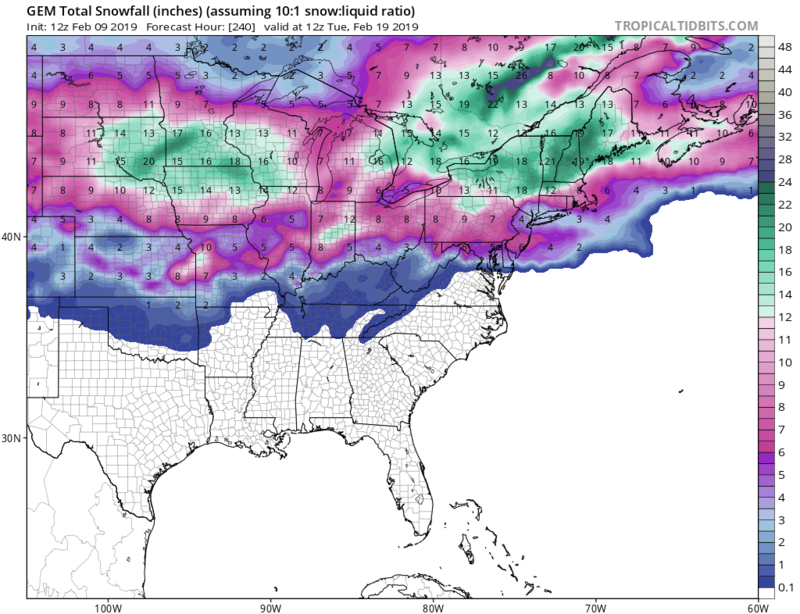 Second, front running snow event may mess things up a bit. The issue I see is how the upper air pattern evolves with the 500 mb and 700 mb lows. it appears that the upper level pattern goes through three sets of changes, first in Midwest where it produces heavy snow, then across Michigan where another heavy snow event occurs then across the far Northeast where the last change occurs and the upper level pattern finally wraps the surface low in and heads out through Atlantic Canada. 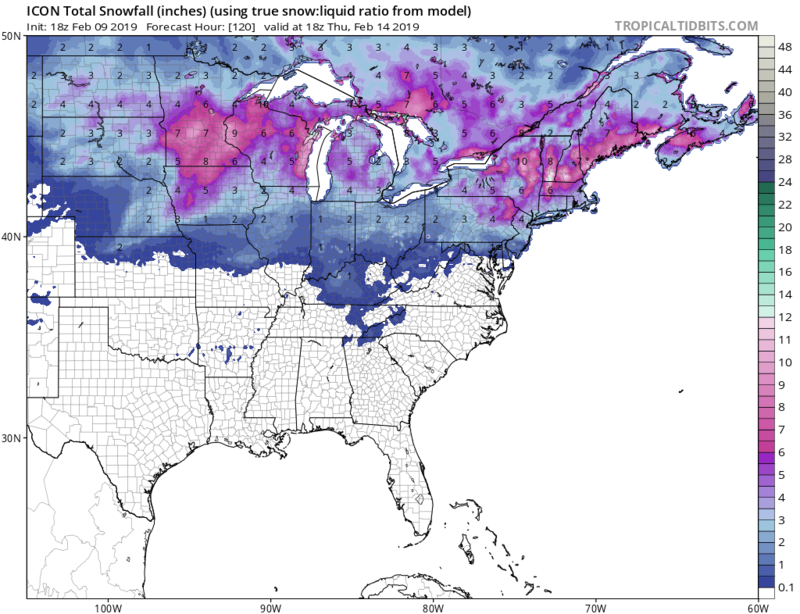 During there three events, snow amounts could vary from 4-12 inches hitting areas like Minneapolis, Detroit and Portland, Me. Front end snow is going to be tough. My think is the change over occurs quickly so snow amounts on the front end across PA into NY, NJ and New England are probably not going to be what the models are saying thinking that the models are trying to hold the cold air in too long. We tried that before with the last storm of this type and the warm air won in the end. 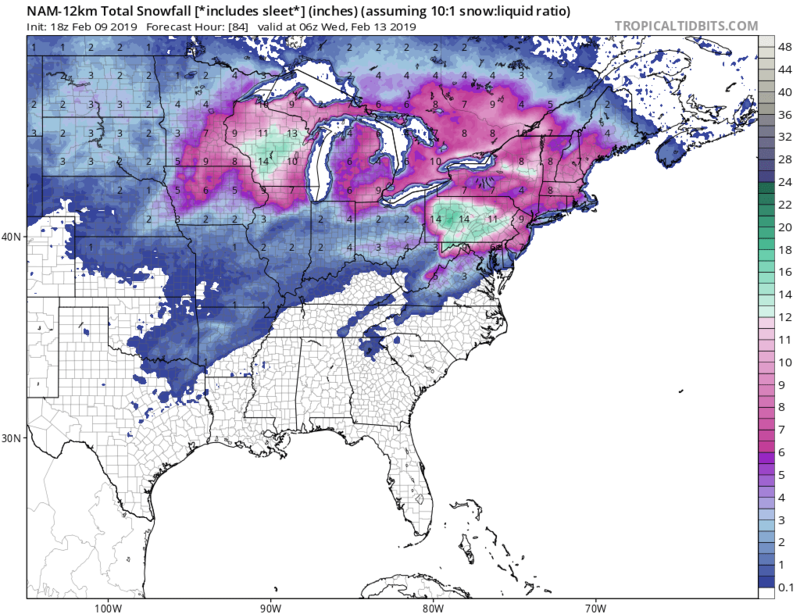 I am leaning toward the ICON model snowfall below as my first idea on snow. Daily Video: Models Odd About Snow!